Yesterday, I presented a copy of my book to this poly student, Aisyah who interviewed me about Gillman Barracks for her assignment. In fact, 2 weeks ago, another student interviewed me about Toa Payoh for the same assignment. He told me a third student wanted an interview about Beauty World. I told him if I said Yes, their lecturer would probably conclude that I do this for a living. Lol. Thanks to all these poly and uni lecturers, who like to give assignments which require the students to interview oldees like me and Jerome Lim (actually he is much younger), I have been kept busy these past few years. I have lost count actually. The most time-consuming ones are video projects; like the recent one by a team of Ngee Ann Poly students who filmed me at my home, Kallang Riverside Park and Chuan Lane – where my kampong house once stood. I do not mind helping the students. But I have decided not to accept any more requests for tv documentaries. You spend hours with them, and in the end, you appear for a less than half a minute. The most disappointing experience was with a company called Oak Tree Films who came to my house to film me for an episode of Project Neighbourhood. After spending the whole morning with them, I appeared for just a few seconds in the final product. Makes you feel as if you are so hard-up to appear on tv. Besides such assignments and projects, I have also given talks at Spore Poly, RI and recently, my alma mater, NJC. Join Main Bareng Di PelangiQQ Situs Bandarq Terpercaya & Teraman Menyediakan 8 Game Terpopuler Di Dan Pastinya Dengan Persentase Kemenangan Lebih Besar Lagi Tunggu Apa Lagi Join Sekarang! It is an amazing article about the interview for a school project. I found so many useful pieces of information from this article. Sir, thank you for your passion. Keep in touch. Yuk iseng bermain game untuk mendapatkan uang tambahan setiap harinya Hanya di HobiQQ. Bareng aku dan teman-temanku yang cantik-cantik loh ! Are you looking for Finance? Are you looking for finance to enlarge your business? They are having tremendous involvement in the field of Doha Escorts and attain demonstrable skill in their escorts work. With adoration and enthusiasm, they can every single client with their expert services and subsequently attain feeling with one another. We understand juggling a regular day in the life with several personal and professional commitments isn’t something that comes easy. And, on top of it, if you have an RPL Skills Assessment to crack, you might be in a difficult position. However, a positive assessment will open amazing opportunities to start a new life and a new journey. At CDRReport, we offer that professional expertise that is the need of the hour, engineers australia fast track assessment time . You can simply outsource your RPL worries to us and heave a sigh of relief. We’ll start with a comprehensive interview to understand your academic and professional background. That will help us align the skills that you bring to the table in the ICT domain. And, in a manner that will impress the assessors greatly. With us at your service, you can rest assured of a positive assessment. If you are looking for online gadget store Singapore, then Avalon Technology is one of the best choices for you. Funding in less than 1 day? I am Dr Derek Barlow, I am a man that have come to put away every thought / reason that is virtually in EVERY ONE'S MIND THAT ARE SAYING THAT THERE ARE NO RELIABLE LOAN LENDER'S ONLINE THAT CAN GIVE LOANS AGAIN / ANYMORE. As at now we all know that there are a lot of scammers searching for our legitimate documents to use for fraudulent act, So i Dr Derek Barlow HAS COME TO ANNOUNCE TO THE ENTIRE PUBLIC THAT I HAVE got some money to Lend out to serious,TRUSTWORTHY and Prospective CLIENTS THAT ARE IN NEED OF LOANS,any person/organization who HAVE BEEN LOOKING FOR LOAN or LOANS AND HAVE NOT GOTTEN THE LOAN ON TILL NOW SHOULD send their contact or apply via email: derekbarlowloans@yahoo.com .Services rendered include; Refinance,Home Improvement,Investment Loan,Auto Loans,Debt Consolidation,Line of Credit,Second Mortgage,Business Loans,Personal Loans,Car Loan,Auto Loan, To mention but a few. AND I HAVE ALSO COME TO TELL THOSE BORROWERS THAT WILL APPLY FOR LOAN AND DO NOT PAY BACK THAT In the book Of Mark 8:36: 36 "For what shall it profit a man, if he shall gain the whole world, and forfeit his own soul?" I REFER YOU TO THE SAID BIBLE REFERENCE THOSE THAT HAS THE MIND OF RUNNING AWAY WITH LOANS THAT HAS BEEN GRANTED TO YOU IN GOOD HEART BECAUSE WE ARE ALL PASSING BY ON EARTH AS WE SHALL MEET OUR MARKER ONE DAY, ALSO GET IT NOTED THAT IF YOUR INTENTIONS IS TO COME AND TAKE ADVANTAGE OF OUR TRUSTWORTHINESS AND RELIABILITY OF GRANTING LOANS ONLINE IN RESPECTIVE OF YOUR LOCATION ON EARTH, I BET YOU YOU WILL BE CAUGHT AS OUR FBI AGENTS ARE ON GUARD. I WILL LIKE TO TELL YOU ALL ALSO THAT I HAVE COME TO WIPE AWAY THOSE TEARS THOSE ONLINE FRAUDSTER / RIP OFF ARTIST HAVE CAUSED TO YOU ALL IN THE NAME THAT THEY ARE LOAN LENDERS. SO THOSE IN NEED OF THIS LOAN FIRM SERVICES SHOULD SEND THERE CONTACTS TO THE ABOVE EMAIL ADDRESS FOR URGENT ATTENTION. AND ALSO I WANT TO LET THOSE THAT HAVE BEEN SCAMMED BEFORE NOT TO COMPARE THIS LOAN FIRM SERVICES WITH THE PREVIOUS ONE THEY ENCOUNTERED THERE SELF WITH IN THE PAST !! NOTE: YOU THAT IS ABOUT TO APPLY FOR THIS LOAN MUST HAVE Trust,Courage,Faith.BECAUSE THEY ARE THE KEY TO ANY TRANSACTION IN THIS WORLD !! AND IF YOU DO NOT HAVE THEM PLEASE AND PLEASE DON'T APPLY AS WE ONLY NEED SERIOUS MINDED CUSTOMERS HERE THAT ARE READY AND SERIOUS TO COMPLY WITH THE PROCESS OF THIS LOAN TRANSACTION WITHOUT GIVEN US ROOM TO SUSPECT THAT THEY FRAUDSTERS / ON-SERIOUS CUSTOMERS. Pasalnya jika anda melakukan investasi dengan benar dan tepat, maka uang yang anda gunakan sebagai modal investasi akan warnetqq or lipoqq menjadi berkali-kali lipat lebih banyak dari yang sebelumnya. Are you looking for a money to enlarge your business? Awesome blog. Thanks for sharing..
interesting blog. thanks for sharing. I really like to give big thanks for creating such a wonderful article. I have read this article. Everyone should read. Thanks for sharing. Nice post.Keep sharing. Thanks for sharing. Awesome article. 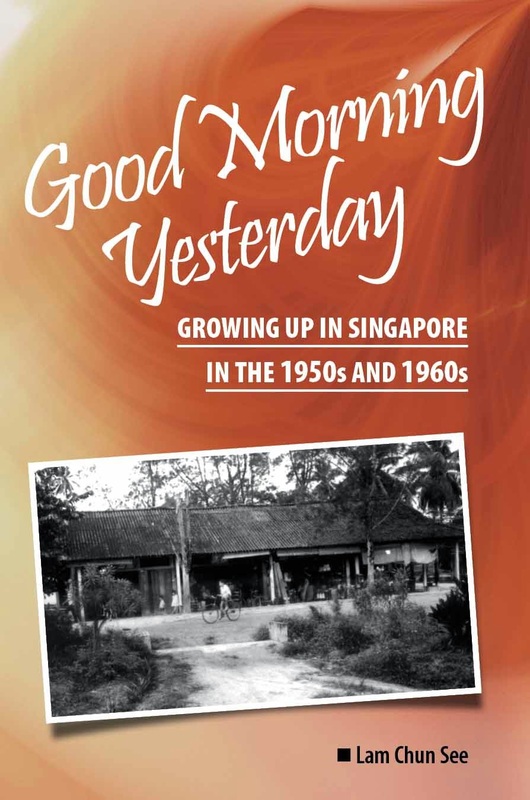 Thanks for sharing..
Good Morning Yesterday is available at Books Kinokuniya main store at Ngee Ann City (Tel: 6737-5021). 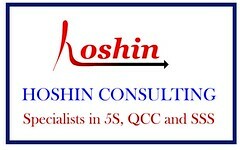 Please visit our Facebook Fan Page. Click on photo. 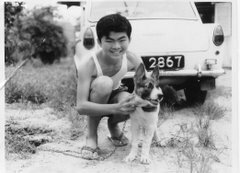 “We have to tell the Singapore story …. Parents and grandparents have a role to play. You have to tell the stories to your children, to your grandchildren to know not only what happened but how you feel about it.” – PM Lee Hsien Loong at 2006 National Rally.